A guy was late to work every day last week because people kept stopping him to pet his dog. 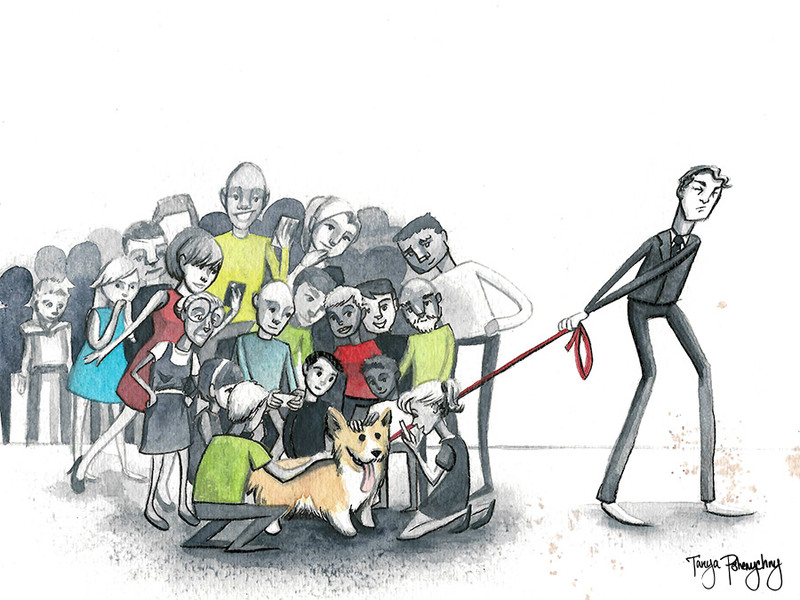 And because the dog was a corgi, people took extra time to bend down to reach the dog. And then people took even more time to snap selfies together. They took a bunch of selfies with the corgi because everybody just assumes that a corgi is friendly. But for some reason, nobody took selfies with the guy. It’s probably ’cause he seemed angry. And they believed him! In fact, they hired that corgi to work at the office. A dog that gets that much attention must be special and they’re always looking for talent. So today, the guy still comes in late but he still holds the same position. But within the past week, the corgi has been promoted from Office Pet to The Guy’s Manager.